Generalised Anxiety Disorder (GAD) is a general, long-lasting worry and anxiety about everyday life, about anything and everything. People with GAD imagine the worst happening (and worry about all the possible worst case scenarios). They believe future events are almost always negative, and they won't be able to cope 'when' these things 'do' happen. However, as in all anxiety, we tend to over-estimate the danger, and under-estimate our ability to cope. GAD can feel overwhelming and can in some ways seem contagious.... it is often identified as the anxiety disorder that makes therapists worry and feel anxious during sessions! These resources are aimed at both GAD sufferers and therapists. Worry is the main problem, but there are other specific aspects to the anxiety that occur with GAD (See the Vicious Cogs of GAD above): Worry about current problems and hypothetical situations, worry about worry, intolerance of uncertainty, cognitive avoidance and lack of problem solving skills. There are two main types of worry. Use The Worry Tree to help you deal with type 1 worries. Type 2 worries are "worry about worry" which can be both positive and negative. We have up to 60,000 thoughts every day. 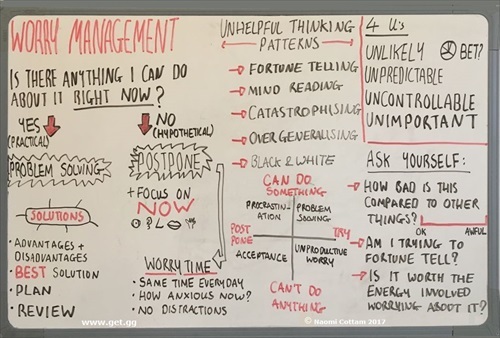 Research (Leahy) tells us that 85% of the things we worry about have a positive or neutral outcome. Of the 15% that have a negative outcome, 80% of people said they handled the situation much better than they thought they would. Use the Thought Record Sheet for Worry Beliefs to help you deal with type 2 worries. Set Worry zones or postpone your worry to take control of your worry & discover that you don't need to worry all the time. An 'intolerance of uncertainty' means that the person with GAD will worry about an imagined feared event as long as there is even the slightest risk of it happening. 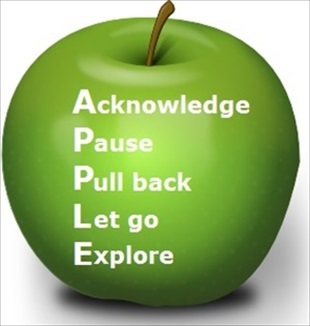 Use the APPLE acronym to help you deal with uncertainty. ACKNOWLEDGE - Notice and acknowledge the uncertainty as it comes to mind. 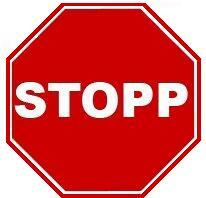 PAUSE - Don't react as you normally do. Don't react at all. Just pause, and breathe. PULL BACK - Tell yourself this is just the worry talking, and this apparent need for certainty is not helpful and not necessary. It is only a thought or feeling. Don't believe everything you think! Thoughts are not statements of fact. What's the bigger picture? LET GO - Let go of the thought or feeling about needing certainty. They will pass. You don't have to respond to them. You might imagine them floating away in a bubble or cloud. EXPLORE - Explore the present moment, because right no, in this moment, all is well. Notice your breathing, and the sensations of breathing. Notice the ground beneath you. Look around and notice what you see, what you hear, what you can touch, what you can smell. Right now. Then, SHIFT YOUR FOCUS OF ATTENTION to something else - on what you need to do, on what you were doing before you noticed the worry, or do something else - mindfully, with your full attention. Observe - there's that worry again. My body is reacting to those thoughts and I feel anxious. Practise and Proceed - What can I do right now? 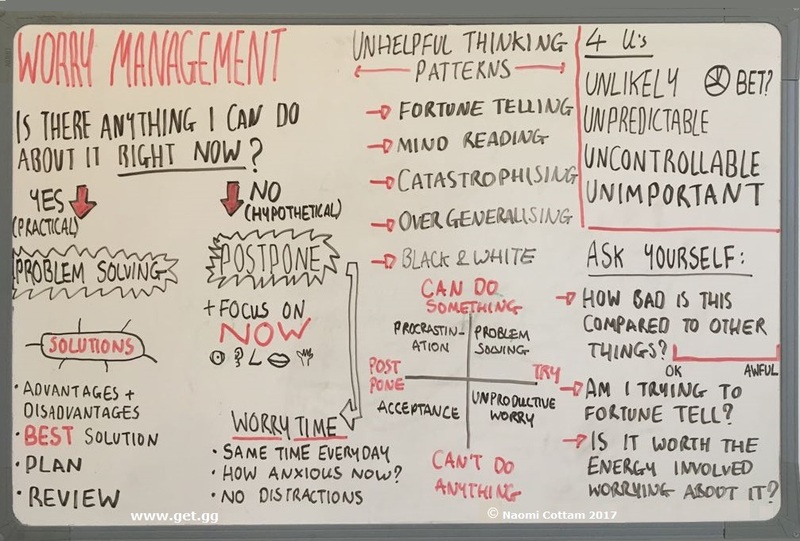 I can use APPLE (uncertainty), Worry Tree (type 1 worry), Thought Record Sheet for Worry Beliefs (type 2 "worry about worry"), Problem solving worksheet, Postpone my worry etc. Where can I put my focus of attention - what else can I do...?